The Mandarin Community Club dedicates much of its activities to preservation and beautification projects. Projects have included the Mandarin Parkway, 19 landscaped medians south of I-295, and the Parkway 2000 projects. The Parkway 2000 project was designed to provide tree-lined medians and tree-lined sidewalks along San Jose Boulevard from Kori Road to Interstate 295. The Community Club owns and maintains three historic properties: the Mandarin Community Club (1872 Mandarin School), the 1911 Mandarin Post Office and General Store, and the Billard Commemorative Park. The Mandarin Post Office and General Store is leased to the Mandarin Museum and Historical Society for historical tours and education. Throughout its history the Mandarin Community Club has been repeatedly recognized for its efforts on behalf of the history and preservation of Mandarin. The City of Jacksonville honored the club in 1999 for outstanding contributions to historic preservation. In 2006 the Mandarin Community Club received the Mayor's Neighborhood Organization Award. 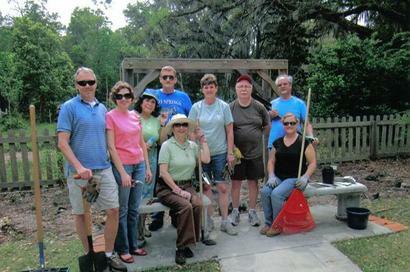 In 2008, the club received the Jacksonville Pride Neighborhood Award of Excellence for the planning and development of the Billard Commemorative Park. 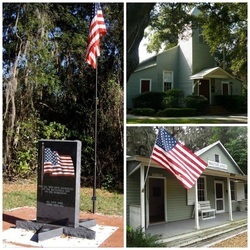 On May 7, 2015, the Mandarin Community Club along with the Mandarin Museum & Historical Society, Councilman Matt Schellenberg, City of Jacksonville Department of Parks, Recreation, and Community Services were presented the "Great Save Award" for their combined efforts in preservation of the last remaining one-room schoolhouse in Duval County for the public's benefit. During World War I, citizens in Mandarin joined together to form the Liberty League with the goals of providing blankets to the allies and selling war bonds. The group met at the Mandarin School. When the war ended, the group continued to meet, focusing on village needs and concerns. In 1923, the group founded the Mandarin Community Club (MCC). 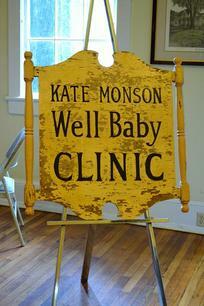 The first president was village postmaster, Walter Jones, also proprietor of the store next to the club. 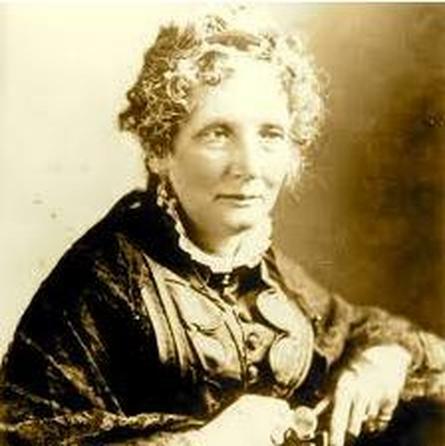 Located in the heart of historic Mandarin near the St. Johns River, the club building was once the Mandarin School founded by author Harriet Beecher Stowe in 1872 and listed as a Local Landmark of Historical Significance. For more than 57 years, Mandarin children received instruction at the Mandarin School; the school was closed in 1929. In 1936, the building was purchased by Edwin and Carr Mina Jones and presented as a gift to the Mandarin Community Club. Since that time, the building has commonly been referred to as the Mandarin Community Club. In 2004 and 2005 the club underwent interior and exterior refurbishments to maintain the integrity of the historic structure and to enhance the appeal for its use as a location for community meetings, weddings, parties and more. 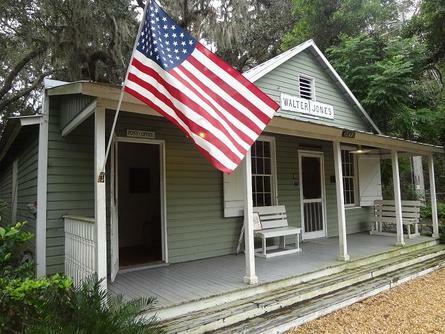 The 1911 Walter Jones Post Office and General Store, owned by the Club, also underwent repairs through the efforts of the Mandarin Museum and Historic Society who lease and maintain the building in a joint effort with the Club. 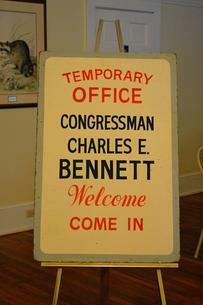 The Post Office is open regularly to the public for tours provided by Mandarin Museum & Historical Society. Throughout its long history, the Mandarin Community Club has taken an active role in issues related to the Mandarin area. The Club funded median landscaping along San Jose Blvd, lobbied for parks in Mandarin and published a commemorative edition of Harriet Beecher Stowe’s Palmetto Leaves and monitors the continued well being of the centuries old patriarch oaks that line Mandarin Road, the only designated Historic Corridor in Jacksonville. As a member of the Southeast CPAC with an active representative, the Club monitors issues of concern which are reported back to the MCC board monthly for discussion and recommendations. The Club regularly opens its doors for forums, civic meetings and public meetings to discuss issues of concern to the community. Valuable programs on Hurricane Preparedness have been held for club members and area residents to educate citizens on preparation for hurricane related disasters. During the holiday season, the Club opens its doors to its membership and their guests for a holiday event and annual membership meeting, and to collect donations of food and funds for the Mandarin Food Bank to assist those in need within our community. One of the most outstanding achievements of the Mandarin Community Club is the annual Mandarin Art Festival held every Easter weekend since 1968. 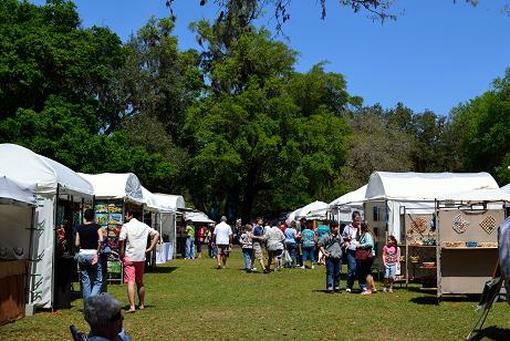 The Mandarin Art Festival enjoys thousands of visitors who return year after year for their favorite artist or to see the array of creations by artists new to the festival. For many, this has become an Easter tradition. Many generations of Mandarin children have enjoyed and remember the annual Easter Egg Hunt as part of the weekend activities. 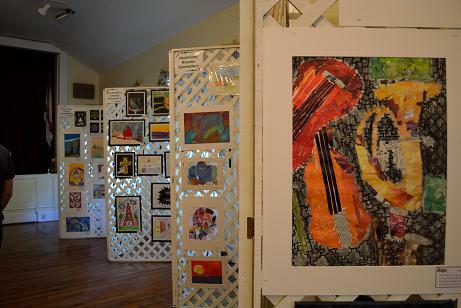 And, many of those children may have had their artistic talent recognized in their school’s artwork submissions in the Children’s Art Show at the Art Festival. The show is a vital funding source for the Club's preservation and beautification work. 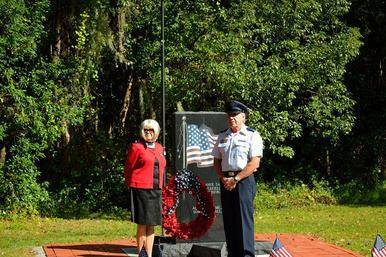 Billard Commemorative Park, 11642 Brady Road, is owned and maintained by the Mandarin Community Club. The Park was dedicated in November of 2007. Since then, it has become a welcome picturesque, quiet spot in our community. The original farmhouse homestead on the property, considered of historic interest in Jacksonville, was built in the late 1890s and occupied by Mandarin resident Frederick Billard. The park now on the site was designed to recognize the history of the home, honor local citizens, provide a memorial tribute to veterans, offer a botanical butterfly garden and add a green spot in our community. Buy A Brick to Support Billard Park Program: As development and maintenance of our Billard Commemorative Park continues, decorative, personalized bricks continue to be offered for sale. These can be placed in your choice of three locations within the Park: along sidewalks, the Veteran’s Memorial Monument area, or near the butterfly garden. For more information, please call the Club office at (904) 268-1622. Your support, as always, will be appreciated! 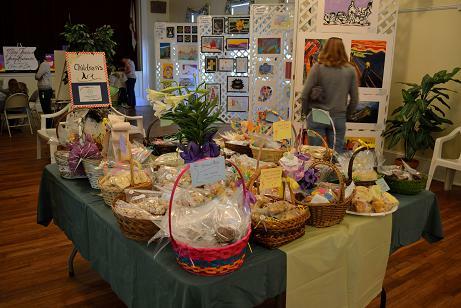 The Mandarin Community Club holds several programs a year, with the event dates announced in the Club’s newsletter and online media. 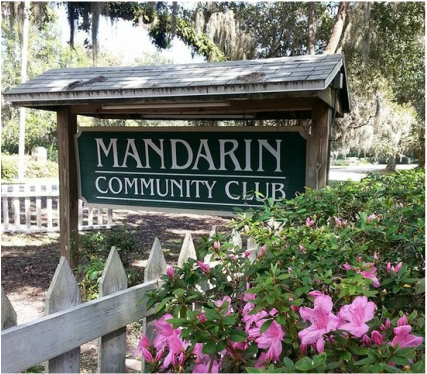 The Club provides educational and informative programs of interest to members and Mandarin residents. Programs have included candidate forums, public meetings, St. Johns Riverkeeper presentations, storm preparation and weather topics, and more. Meetings are free and open to the public. Each year the Club also hosts an annual membership meeting and holiday event for members and their guests. The maintenance of the historic building is a major commitment by the Club. 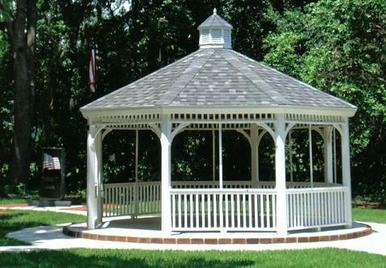 Homeowner associations, area and civic organizations, school groups, church groups, educational and cultural groups, and private parties make use of the facility. Individual and non-profit group uses such as these support both the financial goals and mission statement of the Club.